What does it take to receive national recognition and the grand prize in a nationwide competition? According to fourth-grade teacher Gala Ellison, it takes creativity, artistic details and the ability to sew a life-size, bright green alien. 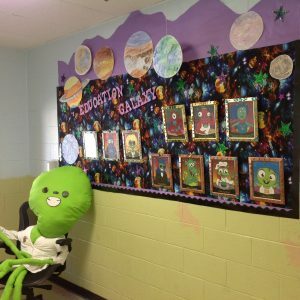 Ellison’s class at Allgood Elementary was awarded the first place in Education Galaxy’s 2018 Galaxy Bulletin Board Contest. As recipients of the grand prize, Ellison’s class received a $100 gift card as well as national recognition on the Education Galaxy website. Education Galaxy is a software company that fuses together games, fun, and space-themed characters with test preparation. Students answer questions that appear on Measures of Academic Progress (MAP) testing and Georgia Milestones testing. Ellison says Education Galaxy has played a key role in improving her students’ standardized test scores. 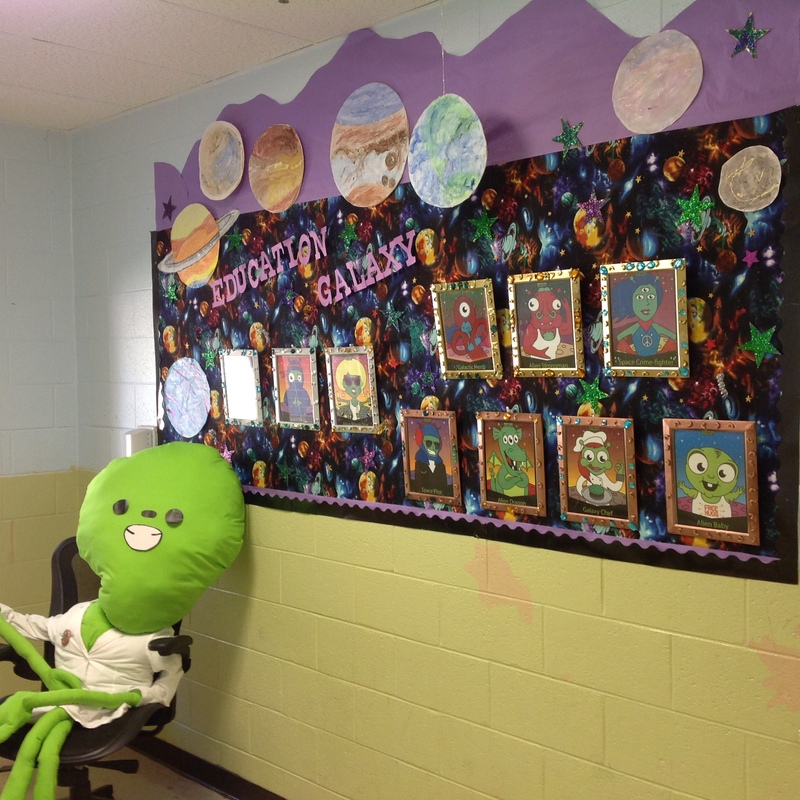 For the contest, participating classes from throughout the United States were tasked with creating a space-themed bulletin board at their school that showcases Education Galaxy’s alien characters. 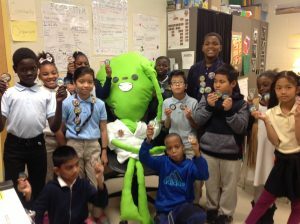 Ellison said it took her and students approximately three to four months to complete their project due to one aspect that truly set them apart: a life-size alien sewed together from scratch. Ellison outlined and cut materials to craft her own alien puppet. She borrowed stuffing to craft the alien’s giant head and small limbs—an aspect she said was the most challenging. Allgood Elementary principal William Carter loves that the competition put the DeKalb County School District school on the map. Ellison said she had no idea the school’s win would make Carter and fellow teachers so happy.